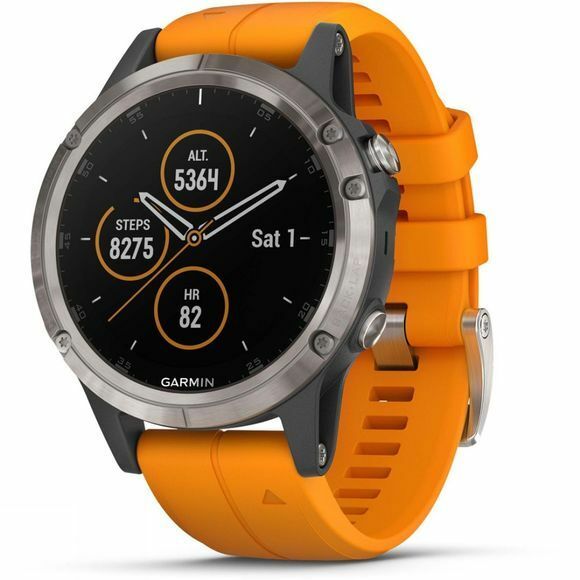 The Garmin fēnix 5 Plus Sapphire-Titanium watch, exclusive to us, combines premium-crafted GPS multisport capabilities, classic smartwatch features and ultra-rugged construction to bring you a timepiece worthy of even the keenest outdoor enthusiast, and now you can bring your maps and music with you while leaving your wallet at home! 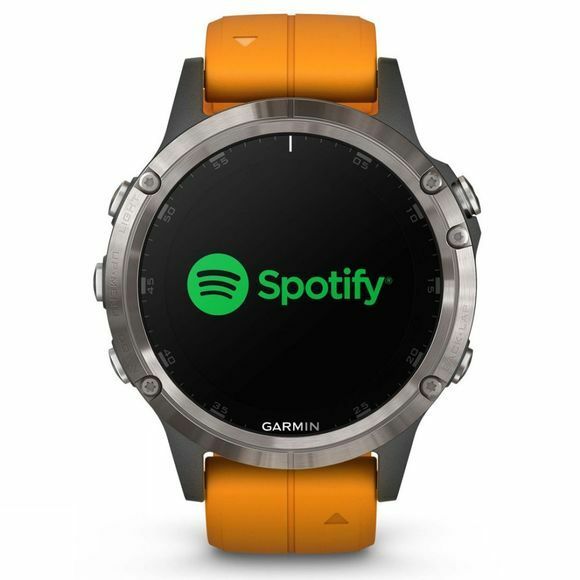 The 5 Plus series offers phone-free listening, allowing you to easily store up to 500 songs and play by connecting to Bluetooth headphones, and Garmin Pay contactless payment system, so you can pay with your watch on the go. Personalize your watch with QuickFit interchangeable bands, and choose free watch faces and apps via Connect IQ, so you can beat yesterday in your own style. All of this is displayed in a 1.2” sunlight-readable scratch-resistant domed sapphire lens fit for adventure and allowing perfect mapping readability. The screen is then housed in an ultra-strong and durable DLC Titanium bezel, for those who want their watch to cope with anything and everything the great outdoors throws at it.